These Talent Acquisition Manager interview questions will give you ideas for conducting an interview. Use those that fit your company best to select the most suitable candidate. Make sure that you are interviewing the best talent acquisition managers. Sign up for Workable’s 15-day free trial to hire better, faster. Talent Acquisition Managers find and retain talent while focusing on a strategic approach to recruiting. Their level of competence can define the synthesis of your future workforce. Look for experience but focus on actual skills. If you operate in a specialized industry (e.g. IT), it may be a good idea to prefer candidates with knowledge of the field. Talent Acquisition Managers are more than just recruiters. They build your brand as an employer to help attract talent and foster relationships with candidates, agencies and current employees alike. During the interview, make a point to find out whether they understand how multi-faceted their role is and what steps they’ll take to fulfil all their duties. You’ll certainly want to see professionals with commitment, passion and critical thinking. Assessment, though, shouldn’t stop there. Try to discover what they know about sourcing (online and offline), employment branding and post-hire activities. 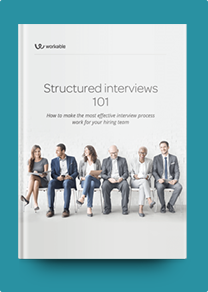 Find how they connect strategy with the recruitment process. Superior communication skills should be apparent. If you expect them to supervise recruiters, look also for their leadership skills. How do you build a talent pipeline? What sourcing techniques do you prefer? Have you used any ATS systems? What is your experience with internet recruiting? What are key elements that affect an employment brand? How important do you think networking is? What are your preferred networking methods? What are you looking for while CV screening? How do you ensure a positive candidate experience? How do you prepare for interviews? What are the most important things to consider? What KPIs have you found useful in the past? What have you done to improve them? How do you assess current employees to discover fits to open positions? What’s important to consider when creating succession plans? How do you stay current with hiring trends? Imagine there is a disagreement between hiring managers for a candidate. How do you approach this? You are asked to fill twice as many positions in the next year than in the last. How do you maintain quality in sourcing and recruiting? Have you ever encountered problems dealing with recruitment agencies? How did you resolve them?